Update: The game has launched in Play Store and is out from Beta stage. ELECTRONIC ARTS is back again with a new game, Bejeweled Stars. The game is currently available for only selected region and is on pre-register for rest of the world. 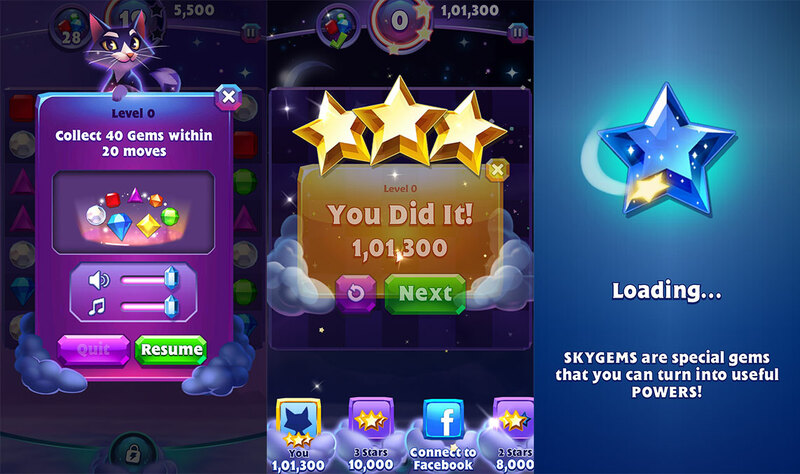 You can either register and wait for it to get released in your country or you can directly download the Bejeweled Stars APK file from the link provided below. EA games are using the title “stars” in their recent games, and this game is no exception. The gameplay is very easy, similar to candy crush, where we have to match the jewels in a pair of 3 or more to get points. No doubt that the game is very addictive and may eat hours of your day. If you are not able to download the game from Google Play, then you download the APK file from below. The file size is approximately 52 MB. The APK file provided above is directly extracted from Google Play Store and is an untouched version. Therefore you can download the file without hesitation. Though we still recommend downloading the Android apps and games from Play Store. The game is free to download but has an in-app purchase to buy coins and golden chests. There are many features in this game that maintains the excitement in the game. You need to SkyGems to create special powers, which you can use anytime you want. There is another feature where we have open chests that reveal exclusive Charms. We can also compete with our friends and show them our special powers and skills. The graphics of the game are good and very smooth while playing, though you need to have at least 2GB of RAM else the game may lag a bit. There are many levels in the game, and you won’t find it boring as new power unlocks in new levels every time. To get more updates on Bejeweled Stars and other upcoming EA games, stay tuned with us.